The Patriots spent two weeks listening to the doubters and came out on Sunday and made quite the statement, annihilating the Chargers 41-28 and sending a message to the world that it’s a little too early to write them off. 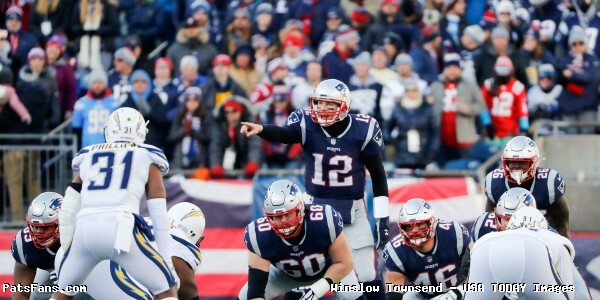 1) The Week off Served Brady Well – After having a week of rest, Tom Brady came out and had a terrific game, missing just six passes in the first half after completing 23-of-29 (79%) for 233-yards along with a touchdown over that span against a Chargers defense that simply couldn’t stop them. The Patriots offense marched up and down the field, converting on all five trips to the red zone as the offense built a 35-7 lead that they wouldn’t relinquish. He was just as sharp in the second half, missing just four attempts as he completed 11-of-15 and helped keep the football away from Philip Rivers and Los Angeles’ offense. They held the ball for nearly 9 minutes in the third quarter and almost 10 minutes in the fourth quarter, stepping on the throat and ensuring the Chargers would never have enough time to get back into the game. He also hit 8-of-12 in the red zone for 43-yards and a touchdown. Overall, Brady finished the afternoon 34-of-44 (77%) for 343-yards and a touchdown. He said after the game that getting ahead of Los Angeles was important and the fact they were able to execute as well as they did was a big key in their victory. Brady reached a milestone in this game, becoming the first quarterback in NFL history to complete 227 consecutive passes in the postseason without an interception. 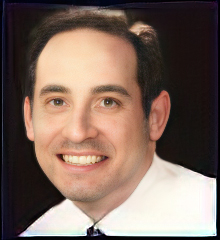 Drew Brees had previously held that mark with 226. 2) Michel Showed His Value – So many critics seem to be undervaluing what Sony Michel brings to the table, but with one postseason game in the books, Michel proved just how important he is to this offense after a terrific performance on Sunday. Michel scored 3 touchdowns on the afternoon, while also becoming the first Patriots rookie to rush for 100-yards in a playoff game. He got off to a fast start, with the former Georgia standout reaching that mark by halftime on Sunday. Almost half of that came on one carry after Michel broke off a career-high 40-yard run midway through the second quarter, eclipsing his 34-yard touchdown run from back in Week 5 against the Colts. He’s been consistent all season, routinely finding openings and multiple times on Sunday showed terrific patience against a Chargers defense that was tough up front but he still broke through. It’s been these types of performances that have kept defenses off balance and allowed Brady and the offense more success in the passing game, which certainly came into play on Sunday. Brady praised Michel’s performance after the game, crediting him for his hard work this season and for the type of person he is. One of the biggest things that stands out is the fact that the Patriots found themselves repeatedly in manageable third-down situations, largely because of Michel’s success on early downs that allowed them to convert 5-of-6 of their 3rd downs in the first half. 17 of his 24 carries all came on first down, helping the Patriots face just four third downs of 7-yards or more all afternoon. 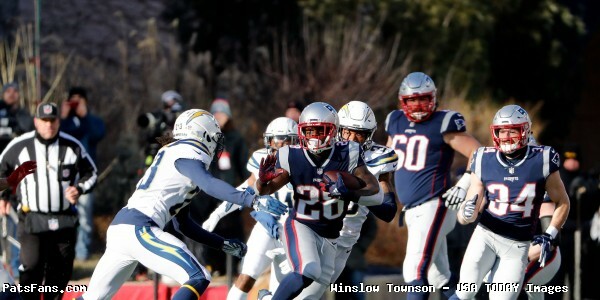 Michel’s three touchdowns also highlighted a good day for the offense in the red zone, with his three touchdowns being key in allowing the Patriots to take control of the game and take the Chargers out of this one before they ever got started. Michel credited the effort by the guys up front, who worked hard and played a key role in his success. 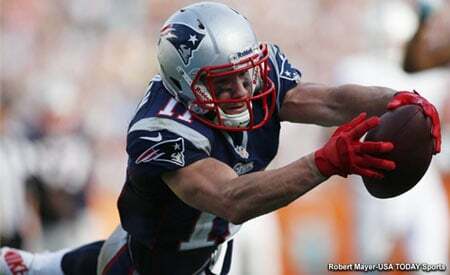 Edelman finds himself among the NFL’s elite after Sunday’s performance. 3) Edelman Comes Up Big – This is the time of year where you need your best players to step up and Julian Edelman did just that on Sunday against the Chargers. The veteran receiver had a huge outing, finishing the afternoon catching 9 passes for 151 yards, averaging an impressive 16.8 yards per reception. Seven of his 9 receptions went for 11+ yards, including two of 20+. That performance put him among the NFL’s elite, with the wideout now trailing just Jerry Rice all-time in playoff receptions. That’s pretty impressive for a former 7th round draft pick who has certainly come a long way over the course of his career. Edelman, who missed last season after suffering a season-ending knee injury in preseason, showed on Sunday that he remains the X-factor when it comes to how far this team will go. Brady praised Edelman’s performance after the game and admitted they’ll need more of the same next weekend. 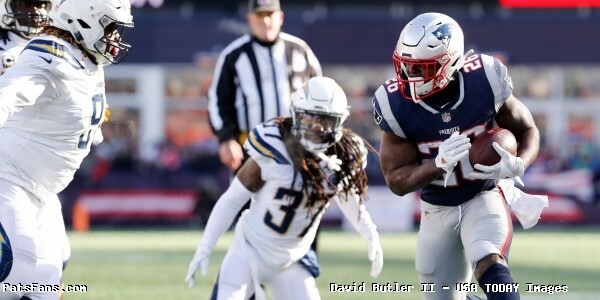 4) Record Afternoon for White – Another player who made history on Sunday was running back James White, who finished the Patriots’ win over the Chargers with 15 receptions on 17 targets for 97-yards. His performance was big as it put him all alone in postseason history with at least 12 receptions in multiple games, with his most memorable one coming during the team’s historic come-from-behind win in Super Bowl LI. Even Jerry Rice never accomplished that feat, nor did Rice ever catch 12 balls in one game during the playoffs. Five of those catches came on New England’s opening drive, which helped set up Michel’s first touchdown of the afternoon. That was big as it helped jumpstart the offense, which allowed the Patriots to get the early momentum against a Chargers team that couldn’t quite seem to corral him. White did most of the dirty work for the offense in the passing game, with 11 of his 15 receptions coming on first and second down, helping to mix things up with Michel and keeping Kansas City off balance. It was a game plan that worked well and White credited offensive coordinator Josh McDaniels and the guys around him for what ended up being a productive afternoon. 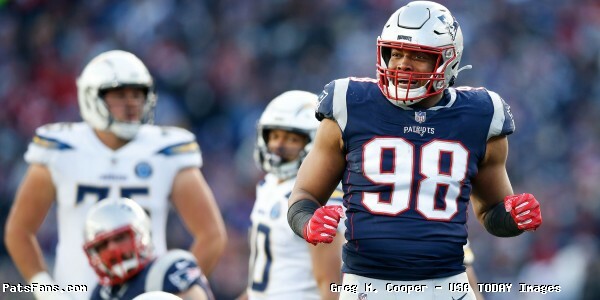 Trey Flowers and the defense made Philip Rivers miserable Sunday. 5) Defense Made Rivers Miserable – As good as the offense was, it’s hard not to appreciate how well New England played defensively and how miserable they made Chargers quarterback Philip Rivers. They harassed him all afternoon, with Trey Flowers and Adrian Clayborn putting pressure on him for most of the contest. They each finished with a sack against him, and also combined for 5 of the 7 quarterback hits the defense finished with. With Rivers under duress, the secondary also did a terrific job. They finished with 8 passes defended, with Devin McCourty (2), Jason McCourty (1), Kyle Van Noy (1), J.C. Jackson (2) and Stephon Gilmore (2) each accounting for that total. 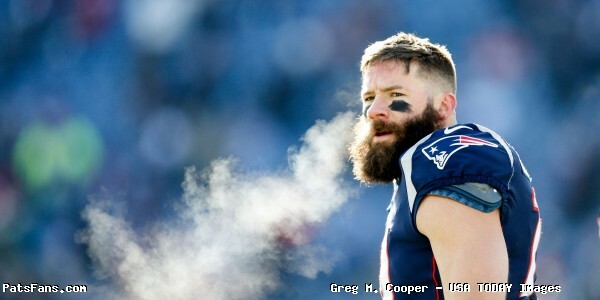 Gilmore also had an interception. Belichick said after the game he was impressed with the pass rush and was pleased with how tough they made things for Rivers and the Chargers offense. With Chiefs quarterback Patrick Mahomes up next, they’ll need another effort like this next Sunday as they head into a hostile environment at Arrowhead Stadium. Most fans will likely remember what happened the last time they played there, which saw the Patriots lose 41-14 and inspired the “on to Cincinnati” press conference following the Monday Night loss. The Patriots previously beat Mahomes and the Chiefs earlier in the year in a Sunday Night match-up at Gillette Stadium. That game went down to the end, with New England eventually coming away with a 43-40 victory. Beating a team twice in a season is never easy and Belichick knows they’ll have their work cut out for them. The two teams will meet in the evening match-up at 6:40pm ET next Sunday night where it will be all on the line for a trip to Atlanta. 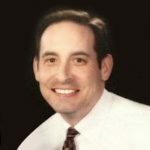 This entry was posted in Uncategorized on January 14, 2019 by Ian Logue.